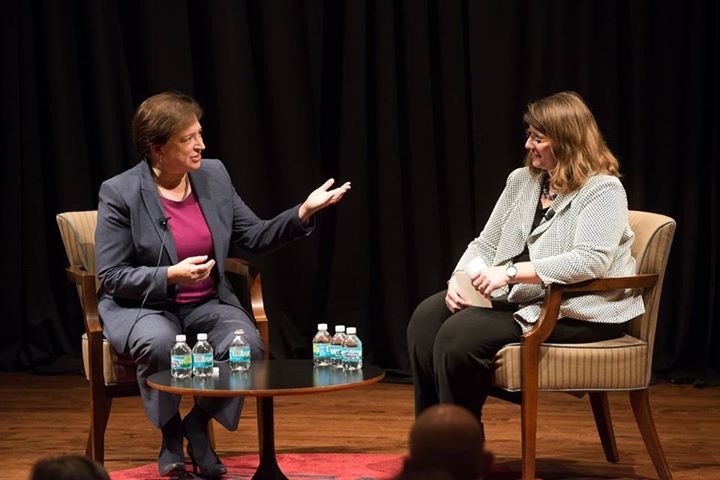 On Monday, October 16, Chicago Kent was honored to host Justice Elena Kagan. She spoke to a packed house for an hour, answering my questions about the Court, how she works, and her background. We will post video of the interview when it’s available, and we’ll also have our own write-up of the day. But in the meantime, coverage is available at the Chicago Daily Law Bulletin, the Chicago Tribune, the New York Times, and SCOTUSblog. 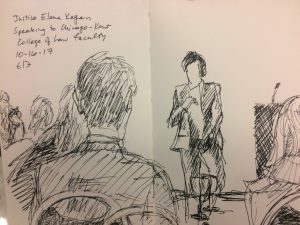 Election law expert Rick Hasen, who was at Chicago-Kent to deliver the keynote address at the ISCOTUS/Law Review Symposium on The Supreme Court and American Politics the following day, live-tweeted the talk. 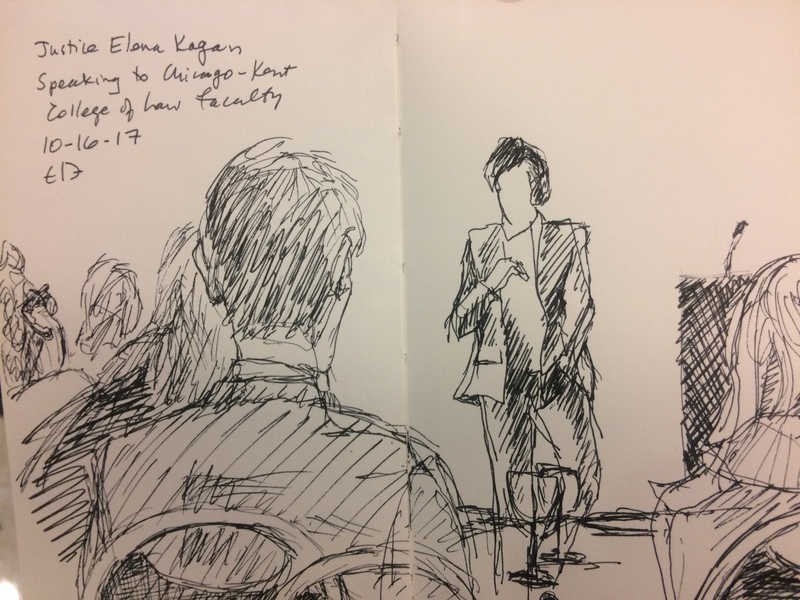 Below, enjoy the talents of my colleague Evelyn Brody, who sketched this picture during a faculty lunch with Justice Kagan.